If it’s your first trip to Lisbon, I really recommend you head out to Belém to see the sights. To help you, I’ve put together this guide for the best things to do. The Portuguese began their exploration of the world from here at Belém. For you, as a visitor, it’s a perfect place to begin your exploration of Lisbon. Two of the most important sites in Lisbon are here in Belém – the Jerónimos Monastery and Belém Tower. I’ve already written a bit about them and why they are so significant. But there are many more things to do in Belém than just these sights. It’s one of the most important neighbourhoods of Lisbon and is full of national monuments, museums, public parks, and grand buildings. In fact, it’s easy to fill an entire day seeing the sights of Belém. 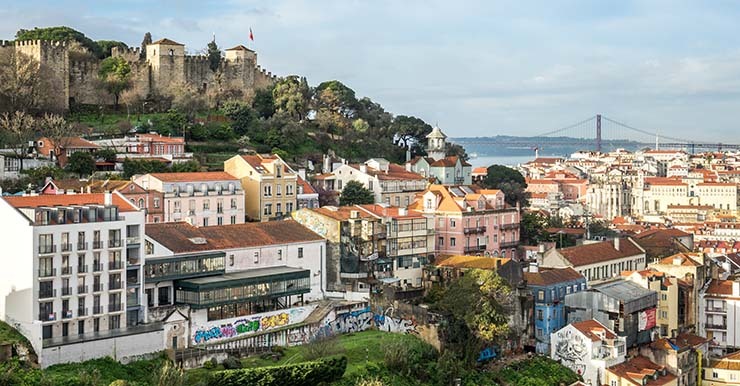 You’ll finish with an excellent understanding of the history of Lisbon during the Age of Discoveries and the period of colonisation that would follow. The name Belém is a derivation of the Portuguese translation of ‘Bethlehem’, and you’ll easily be able to see the strong connection between church and state that defined the rule of Portugal for many centuries. 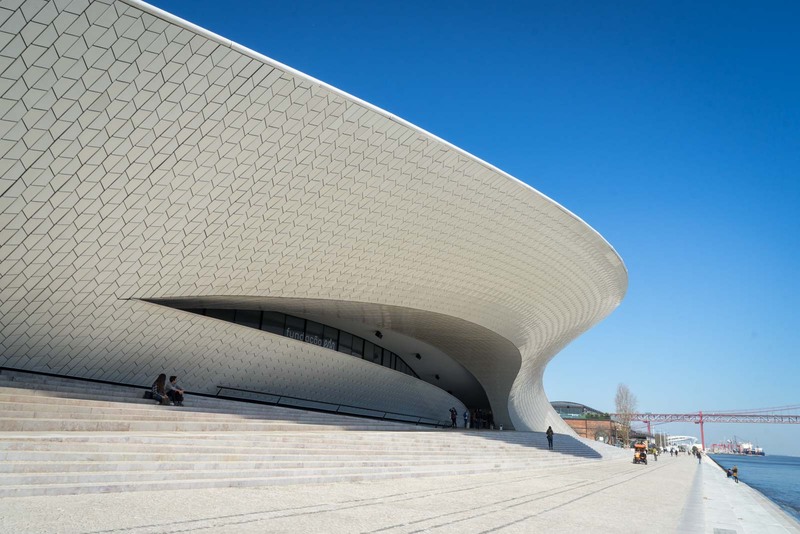 However, Belém now also has modern architecture and museums that reflect the contemporary society, offering you a bit of variety for a day of sightseeing. I’ve put together a guide for the best things to do in Belém. There’s plenty to see but I’ve planned it as a one day itinerary so you can use your time efficiently. If you want to see all of the Belém highlights that I’ve included then, I’ll warn you, it will be a bit of a rush. If you prefer a leisurely pace then you might want to skip one or two things. Before I get into the details, I’ll also point out that you’ll save a lot of money if you use the Lisboa Card for these sights. Now, onto the Belém tour! You can see all of the places I have recommended on the map below. It’s fairly easy to walk between them all and there are nice things to see along the way. 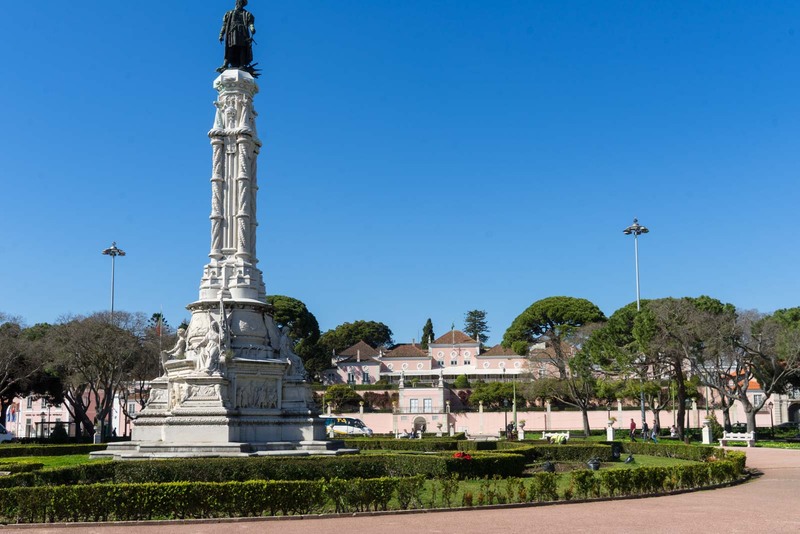 If you want to get to Belém from central Lisbon, I would recommend taking the train from Cais do Sodré, which is connected to the Lisbon Metro system. It leaves regularly and takes just nine minutes. Get off at Belém station and you can walk from there. Alternatively, you can take the tram 15, which starts in Baixa and then follows a similar route to the train (but is much slower). Or you can also use the city buses with the numbers 727, 28, 729, 714 or 751. From Belém train station, walk along the waterfront until you reach the Monument to the Discoveries. 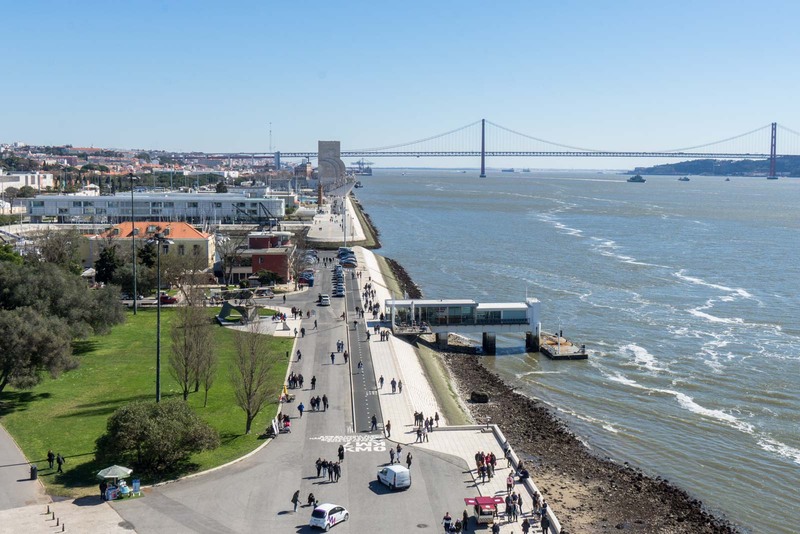 You won’t be able to miss it – it’s the enormous monument that rises up 56 metres high from the side of the Tagus River. 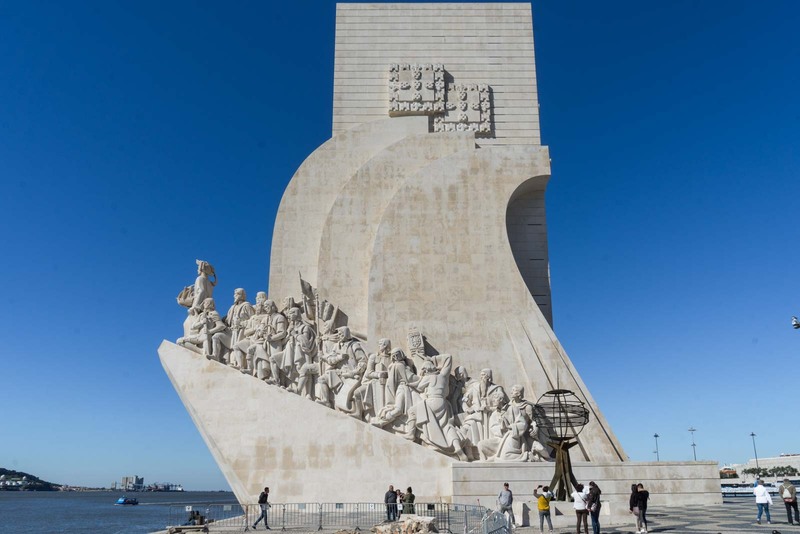 The Monument to the Discoveries was opened in 1960 and is a tribute to the Portuguese Age of Discovery of the 15th and 16th centuries. Along either side are sculptures of 32 historical figures from this period. At the peak is a 9 metre statue of Henry the Navigator holding a model of a type of ship called a ‘carrack’. You can go inside and climb up to the viewing platform at the top. There is also an exhibition on the lower level. If there’s a long wait, don’t worry, because you’ll get a similar view from the top of Belém Tower. What time is the Monument to the Discoveries open? 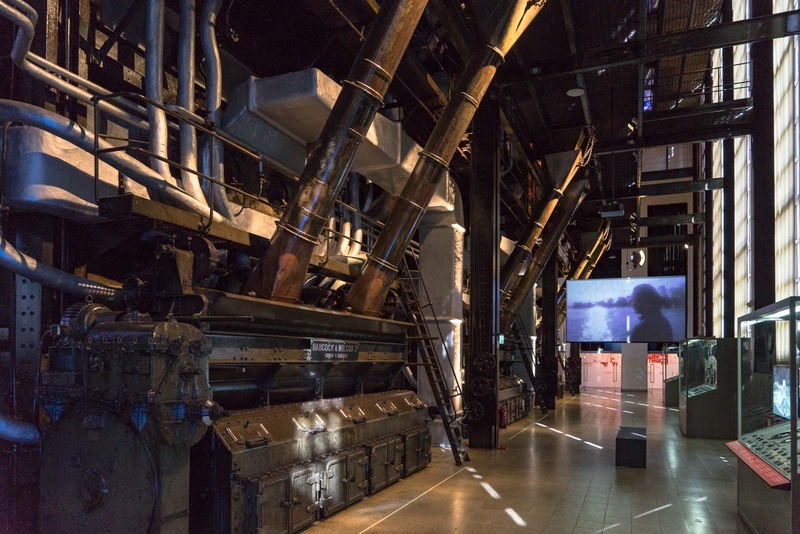 From March - September, the Monument to the Discoveries is open from 10:00 - 19:00. From October - February, it is open from 10:00 - 18:00. How much does it cost to visit the Monument to the Discoveries? Entry to the monument costs €5 for a regular ticket and €2.50 for a concession. For more information, you can visit the monument's website. 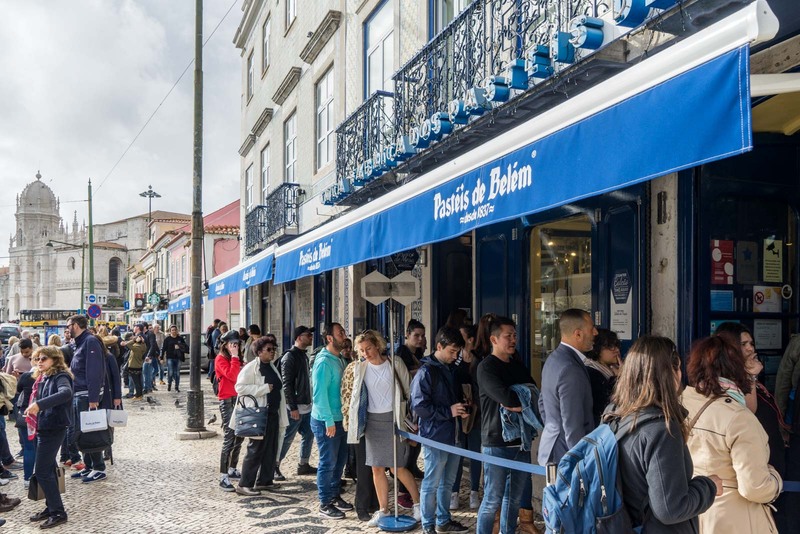 I would suggest trying to get to Belém Tower fairly soon after it opens because a long queue can form during the day because there’s only a limited number of people allowed inside. Belém Tower is an impressive building, surrounded by water in the Tagus River. Construction started in 1514 on the tower that was designed primarily to be part of the defensive system – it has spots for cannons that could shoot at any enemy ships sailing towards Lisbon. But it was also a monument to the power of Portugal at the time. Although it looks great from the outside, I would really recommend going inside as well. You get a completely different perspective from the terrace on the far side. Then you can climb up to the top of the tower for amazing views. By the way, I suggest asking for a combined ticket here for the tower and Jerónimos Monastery to skip the line at the monastery later. What time is Belém Tower open? 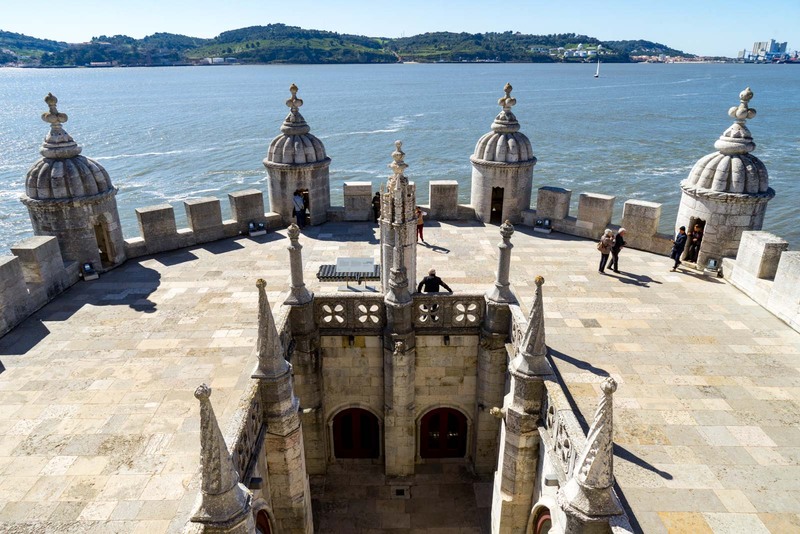 From October - May, Belém Tower is open from 10:00 - 17:30, with the last admission at 17:00. From May - September, it's open from 10:00 - 18:30, with the last admission at 18:00. It's closed on Mondays and on 1 January, Easter Sunday, 1 May, 13 June and 25 December. 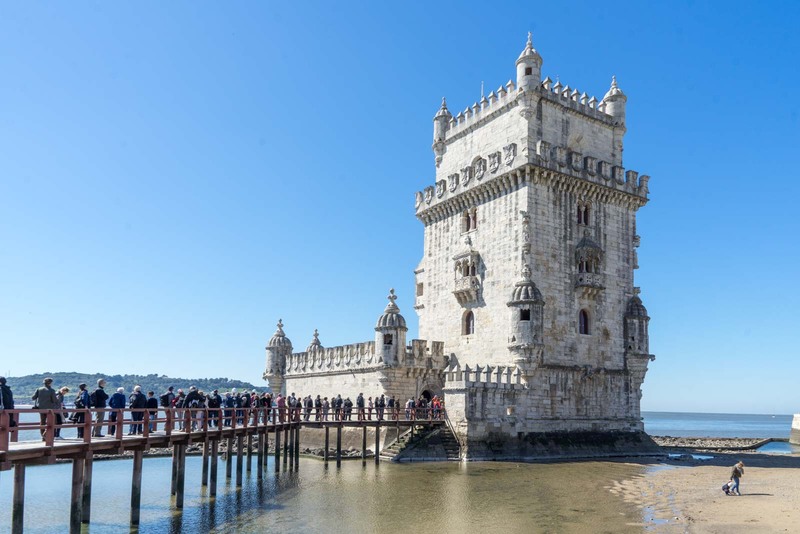 How much does it cost to visit Belém Tower? Admission to Belém Tower costs €6 for an adult and €3 for a concession. Entry is free with the Lisboa Card. For more information, you can visit the tower's website. Of all the museums in Belém, I think the Berardo Collection Museum is the most impressive of them all. Although I’ve included it in this one day itinerary, you could spend hours here. If you particularly like modern art, you might want to consider coming back and seeing it properly. 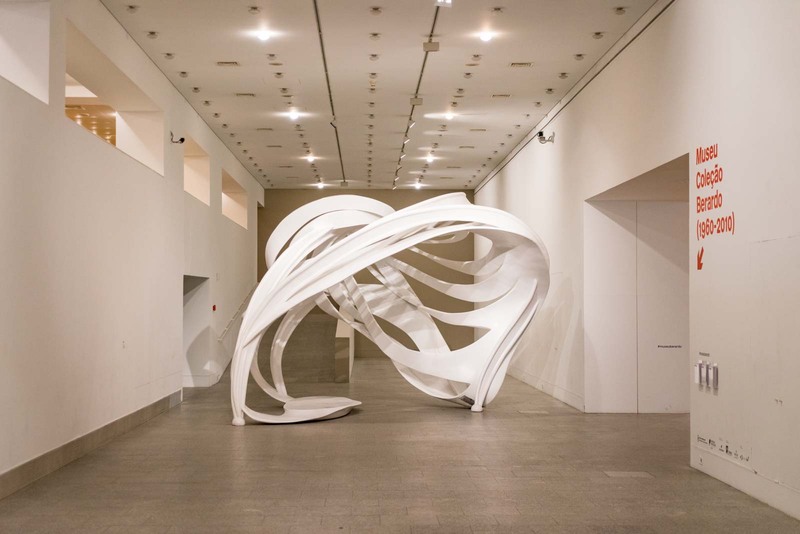 The Berardo Collection Museum has more than 900 works on display that stretch from the 20th century until today. 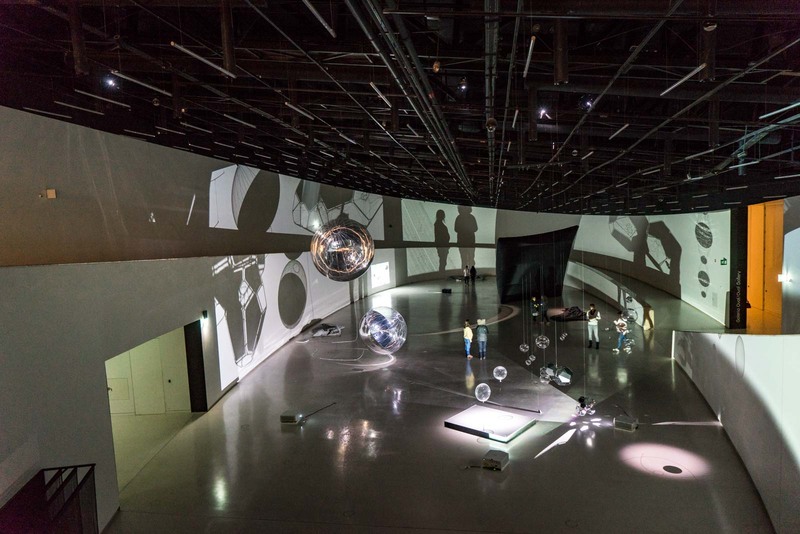 The main exhibition does an excellent job of taking you on a chronological journey through modern art, showing how one movement evolved into another. You’ll be able to see works from artists such as Pablo Picasso, Andy Warhol, Francis Bacon, Piet Mondrian and Marcel Duchamp. There are also large temporary exhibitions spaces that usually have something interesting included with the admission price. What time is the Berardo Collection Museum open? The Berardo Collection Museum is open from 10:00 - 19:00. How much does it cost to visit the Berardo Collection Museum? Regular admission is €5 and a concession ticket is €2.50.There is a 30% discount with the Lisboa Card, making it €3.50 for an adult. You can see more information at the museum’s website. 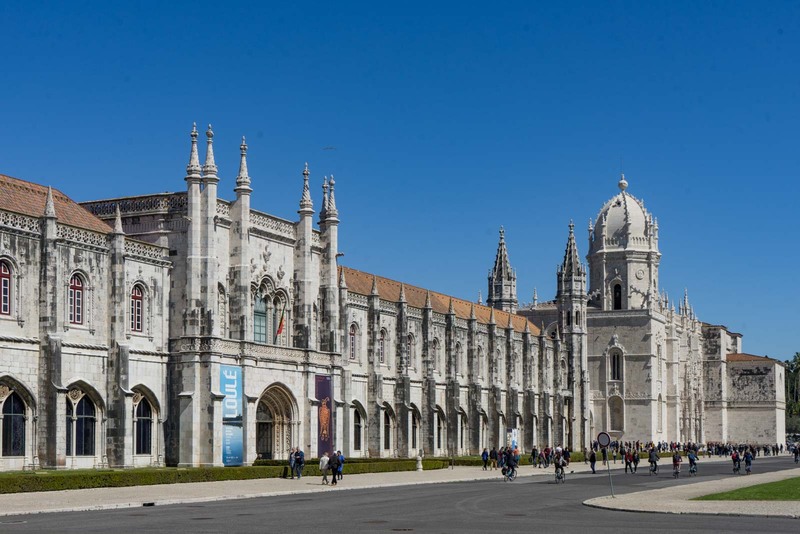 Jerónimos Monastery, along with Belém Tower, make up Lisbon’s only World Heritage Site. This is one of the most important sites in the city and I wouldn’t recommend skipping it, even if the line looks quite long. 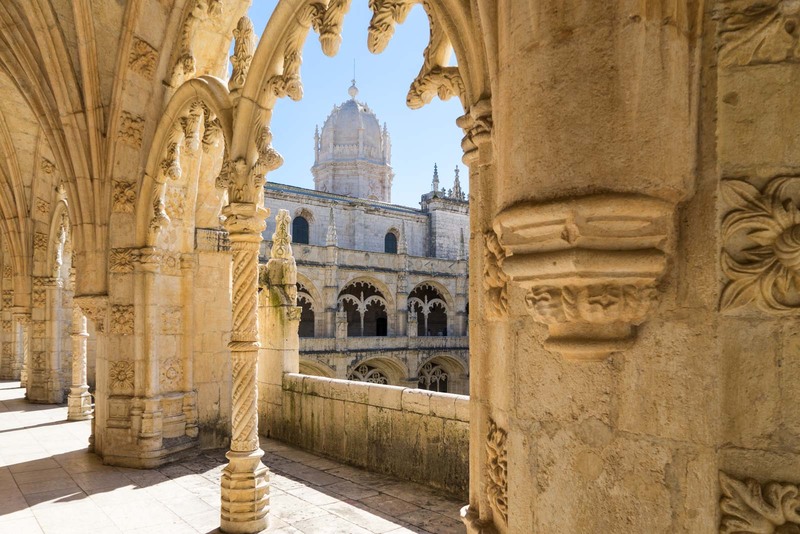 Jerónimos Monastery was built from 1501 and was intended to be a place of spiritual protection for the sailors and explorers whose ships left from here during the Portuguese Age of Discovery. They would pray here just before they set off on their journeys. The main two-level cloister of the monastery is what you can see these days and the architecture is stunning. Take note of all the small details in the designs sculpted into the stonework. There is a mixture of nautical, religious and royal symbols. Attached to the monastery is the enormous Church of Santa – which you can actually go inside for free. There’s lots to see inside the church but make sure you don’t miss the tomb of Vasco da Gama. What time is Jerónimos Monastery open? From October - May, Jerónimos Monastery is open from 10:00 - 17:30, with the last admission at 17:00. How much does it cost to visit Jerónimos Monastery? Admission to Jerónimos Monastery costs €10 for an adult and €5 for a concession. For more information, you can visit the monastery’s website. You have probably heard of the famous Portuguese tart – or pastel de nata – and maybe you’ve even tried one in Lisbon already. You really can’t come to Belém without trying one of the tarts from the Pastéis de Belém bakery. 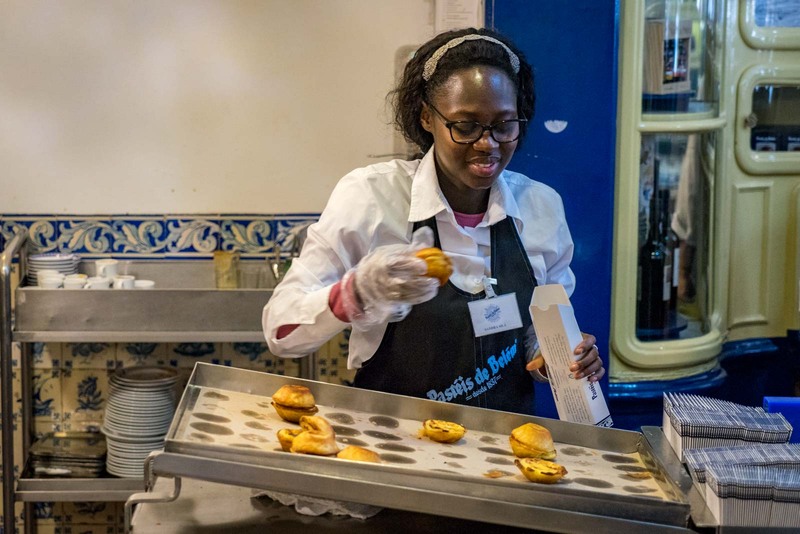 It is said to be the original place where the pastel de nata was created and a lot of people will tell you that it is still the best one you’ll find. 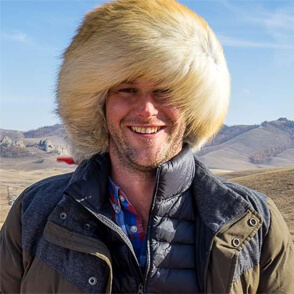 Although the original recipe is used, it is now so full of tourists that they are made in bulk. There’s often a long line on the street waiting to go in and buy the tarts. You can usually save time by going in the other entrance for the table service instead. This is also a good area to get lunch, if you’re getting hungry. 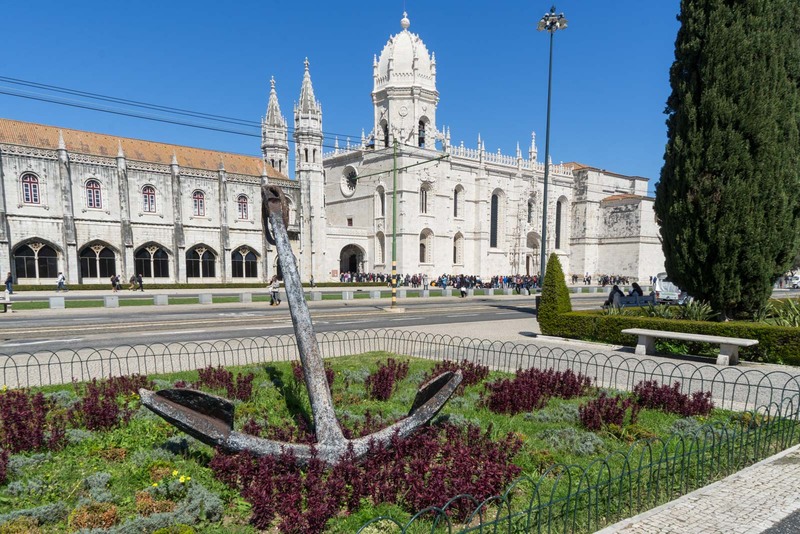 So, if you’re ready for a break, grab a bite to eat, a coffee, a pastel de nata, and then you’ll be ready to continue with the Belém itinerary. 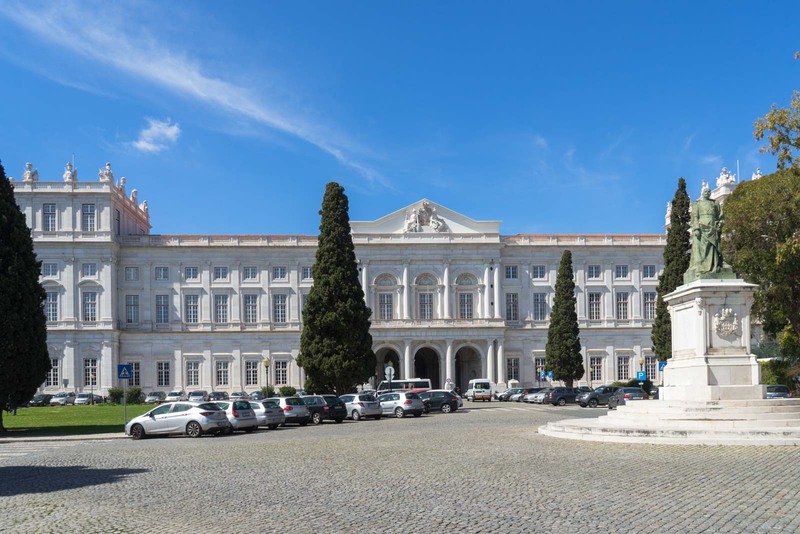 The next stop I would recommend is the beautiful Ajuda Palace. It’s not usually high on the list of things to see in Lisbon but I actually think it is really underrated and worth a visit. It is about a 25 minute walk from the main street of Belém. If you would prefer to use public transport, you can catch the local bus 727 or 729 (free with the Lisboa Card). Construction started on Ajuda Palace in 1795, with the intention of making it a large and opulent royal residence. However, the project hit all sorts of hurdles (including the period when the Royal Family had to flee to Brazil in 1807 because of a French invasion). It wasn’t until 1861 that Ajuda Palace officially became the residence of the Portuguese Royal Family. Even that didn’t last very long – with Portugal becoming a republic in 1910, the building was closed until it opened again decades later as a museum. Still, it’s a beautiful palace with richly-decorated rooms, full of furniture, artwork and other royal items. 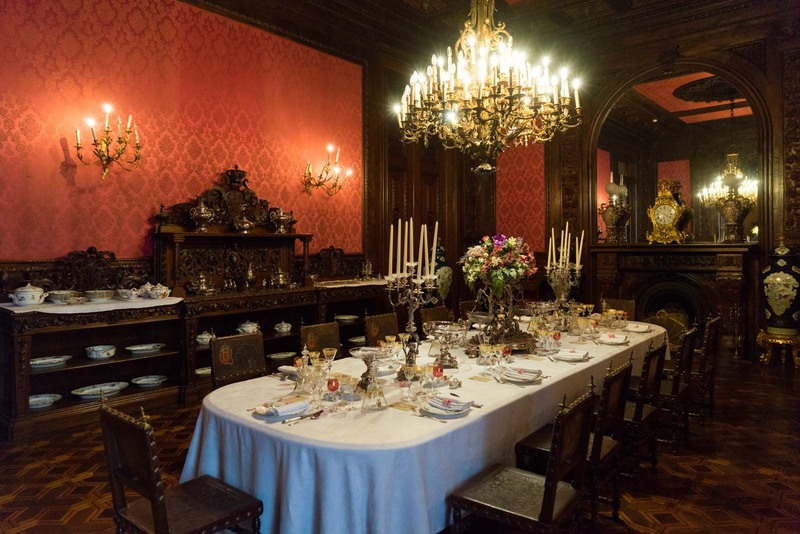 Of particular note is the enormous throne room and connected areas for banquets and other official functions. What time is Ajuda Palace open? Ajuda Palace is open from 10:00 - 18:00. 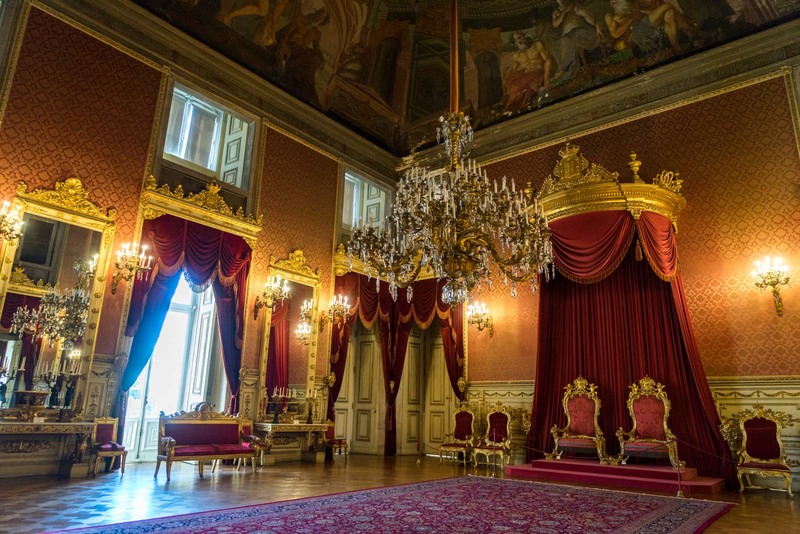 How much does it cost to visit Ajuda Palace? Regular admission costs €5 and concession is €2.50. For more information, you can visit the palace’s website. Heading back into the centre of Belém, I would suggest you might be interested in the National Museum of Coaches. It may seem like an odd place to visit but the collection inside is actually quite spectacular. 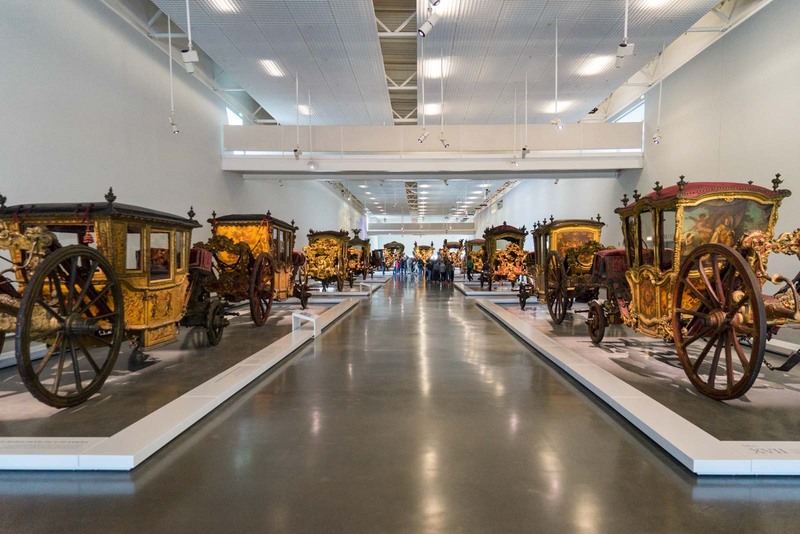 The museum has a new building (opened in 2015) that uses the entire top level to display the coaches, most of which were used by the Portuguese Royal Family over the years. There are dozens of coaches and related items on display, covering a time period between the 16th and 19th centuries. One of the most important items is a late 16th century travelling coach used by King Philip II of Portugal to travel from Spain. 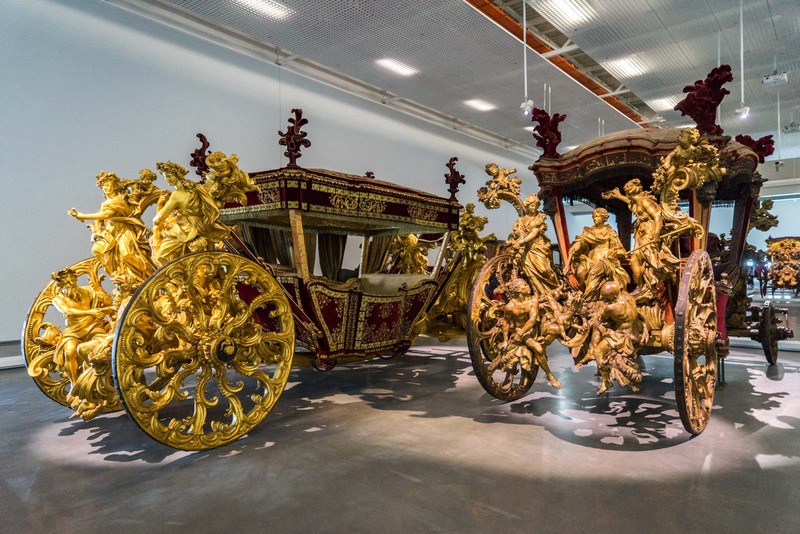 There’s also a beautiful baroque-style 18th century coach given by Pope Clement XI to King John V.
What time is the National Museum of Coaches open? The National Museum of Coaches is open from 10:00 - 18:00. How much does it cost to visit the National Museum of Coaches? Regular admission costs €8 and a concession is €4. 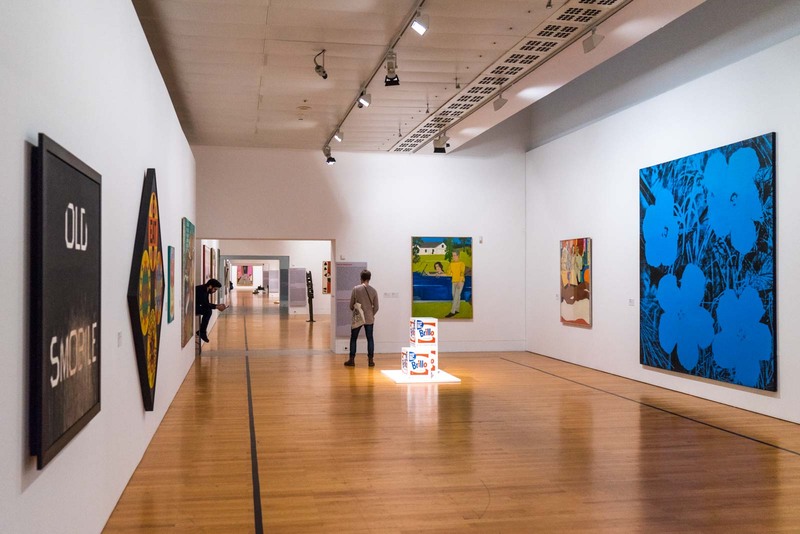 Lisbon has quite a few good art museums and if you visited the Berardo Collection Museum earlier in the day then you have already seen one of the best. But visiting MAAT (Museum of Art, Architecture and Technology) is about the experience as much as the collection. The museum is spread across two buildings. The older one is the Tejo Power Station, built in the first half of the 20th century and now repurposed into the gallery. You can still see the old equipment that’s been left behind, though. Next to it, is the new building, an architectural piece of art in its own right. It was opened in 2016 and the design means you can walk over the top of the roof, which then turns into a grassy hill. Both buildings host a series of temporary exhibitions with innovative contemporary art – videos, light displays, scultpure… anything, really. Depending on what is on offer, the ticket for both buildings may not be great value but you can assess that for yourself. It’s certainly worth considering it. What time is MAAT open? MAAT is open from 11:00 - 19:00. It is closed on Tuesdays. How much does it cost to visit MAAT? For a regular ticket, it costs €5 for each of the two museum buildings or €9 for both of them together. Concession tickets are €2.50 for each building or €4.50 for the combination. 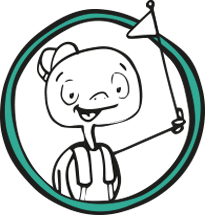 MAAT is free with the Lisboa Card. I have put MAAT at the end of the itinerary for a day in Belém for two reasons. Firstly, it is open the latest so you can still visit it if you are running a bit late. But it also puts you in the best position to continue on from here. The waterfront the Tagus River here has been landscaped beautifully and later afternoon/early evening is a wonderful time to take a stroll back towards the city. If you’ve got a bit of energy, you can go up to the April 25 Bridge viewpoint with the Experience Pilar 7 attraction. You can also head to the nearby LX Factory for a drink or a bite to eat. Nice post! Belem looks amazing, I love to visit. I always wanted to take a trip to Portugal to experience its rich history and great food. Lovely pictures. Hi Michael! Loved your post! You drew a wonderful picture of major attractions of this astounding traveler’s paradise. Lisbon is indeed one of the major economic centers on the European continent. The city has earned the recognition as an alpha-level global city because of its flourishing financial, commercial, media, entertainment, tourism, arts & education sectors. The information shared by you is really helpful to time my trip well. The only task left for me now is to apply online Portugal Visa UK. Excited! See you soon Lisbon.